LIDAX is pleased to inform you about the latest news on our Opto Mechanical Instrumentation Development for Space/Science Applications. CAS ATLID Flight Model DRB in Toulouse. A FM Model of the Co-Alignment Sensor (CAS) has been delivered at the end of September 2016 after a validation testing campaign. 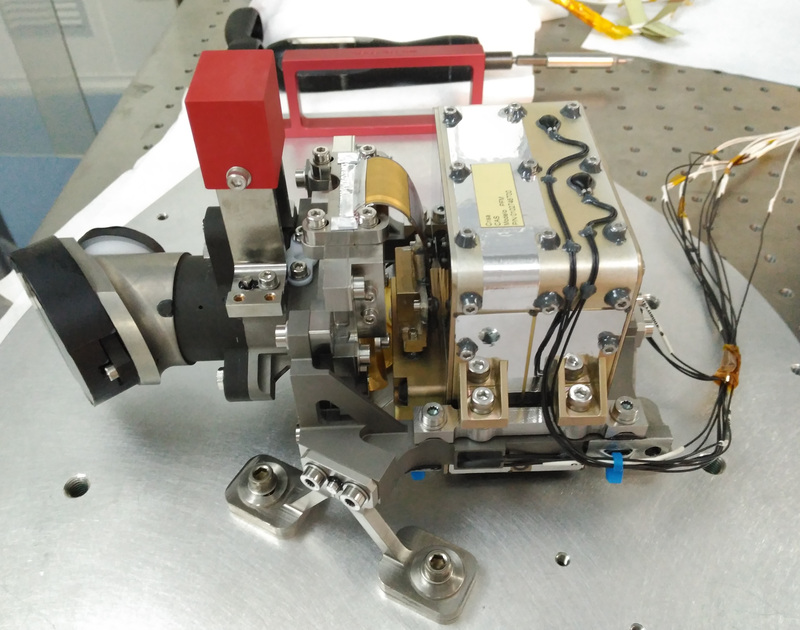 This high performance opto-electronic equipment has been developed jointly by AIRBUS (CRISA) and LIDAX for the customer AIRBUS Defence & Space SAS. The Co-Alignment Sensor (CAS) is a part of ATLID Instrument EarthCARE Mission financed by ESA, which responds to the need to provide a picture of the 3-dimensional spatial and temporal structure of the radiative flux field at the top of the Earth atmosphere’s surface. Our responsibilities in this Project were its Opto-Mechanical Design, Structural and Thermal analyses, Manufacturing Assembly and Integration of the Mechanical Bench Assembly (STM , PFM) and finally the Thermal & Mechanical Qualification Testing, including its GSE Development. All LIDAX Team would like to pay tribute to Javier Serrano Téllez who with 54 years old passed away the 5th of May 2017 by a hidden and unexpected illness. Javier was one of LIDAX’s cofounders where he was working as Technical Director for more than 17 years. He was tremendously generous, honest and compromised with his staff, customers and suppliers. These values were transferred to the LIDAX statement from its foundation.